Dell Latitude E7440 Touch is part of Dell’s Latitude 7000 series and the larger of the two business class ultrabooks. E7440 Touch is a balanced mixture of premium features, long battery life and it is compatible with other E series Latitude laptops. The machine is built with carbon fiber and has the horsepower to survive the day to day grinds of business. Dell Latitude E7440 Touch is a dream machine built for business users on the go and is the top choice for the best business class ultrabook. The 14-inch display of Dell Latitude E7440 Touch is one of its main features. It sports a 14-inch touch screen with a 1920 x 1080 pixel full HD resolution. The display features IPS technology, thanks to which the display is very bright and give crisp output. The full HD IPS display is gorgeous to look at and has remarkable viewing angles. The display is quick and accurate to register touches, taps and swipes thus allowing users to fully utilize the touch optimized Microsoft Windows 8 and 8.1. Even though the touch screen is glossy, it is remarkably resistant to glare and fingerprint or smudges. At the time of purchase, the Latitude E7440 buyers can choose between a glossy touch screen display and an antiglare non-touch display. Aside from the touch feature, the non-touch antiglare display lacks the full HD resolution and comes with only 1366 x 768 pixel resolution. 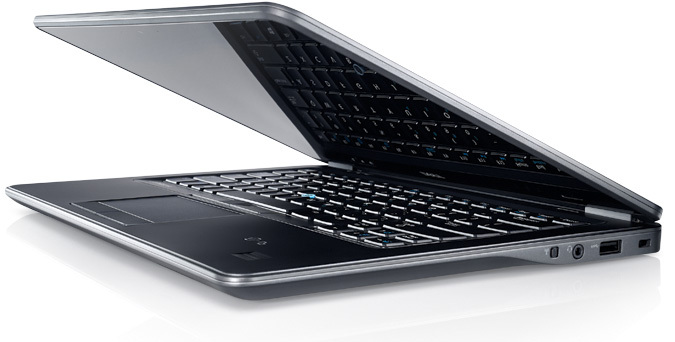 Like the 12-inch Dell Latitude E7240 Touch, E7440 Touch is also made up of carbon fiber and metal. The metal part is painted and have a brushed matte finish. Dell Latitude E7440 Touch is designed and tested according to MIL-STD-810 standards. According to Dell, this machine passed eighteen MIL-STD-810 tests and has been put through conditions like extreme heat, cold, rain, vibrations, dropped on hard surfaces and blowing sand and dust. Therefore Dell Latitude is ready for anything the user puts it through. The metal and carbon fiber chassis makes it look pretty and rugged at the same time, also giving a luxurious feel to it. Being just 21mm thick, E7440 Touch has a very slim profile. Overall dimensions are 0.8-inch by 13.2-inch by 9.1-inch, which makes it almost identical to Lenovo T440s. Thanks to MIL-STD design with carbon fiber and metal body, E7440 Touch weighs only 3.85 pounds. Even though the body is made of metal, there are no sharp edges and all the corners are carefully rounded to make it comfortable for longer use. Dell Latitude comes with a backlit keyboard with traditional style keys instead of the famous Chiclet style keys found on many rival ultrabooks, like the Apple MacBook Pro 15-inch (2013). The keyboard has slightly concave keys which are nicely distanced from each other and are comfortable to use from the get go. The keys offer the right amount of feedback and friction when pressed, and the keyboard is protected against spillage. The keyboard has four different levels of brightness, this allows the user to set the brightness level as required for comfortable use and for better battery management. E7440 features both, a pointing stick and a multi-touch trackpad with separate mouse buttons, so users can use whichever they find easier to use. While the Lenovo T440s has no separate mouse buttons for the pointing stick, mouse buttons are integrated with the one-piece trackpad. Near the hinge there are physical buttons for volume control and a switch for wireless radios on the right side. Dell Latitude E7440 Touch has three USB 3.0 ports, HDMI-out, mini-DisplayPort, Ethernet port and a SD card reader. Users have the option to further add a SmartCard port to increase the security even more. HDMI-out and mini DisplayPort gives Dell Latitude E7440 Touch the capability to give output on more than one display. For wireless connectivity it comes equipped with Bluetooth 4.0 and Intel vPro-certified 802.11ac Wi-Fi card. 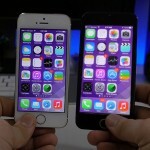 Though users can also opt for the 4G LTE version. Dell latitude E7440 Touch works fine with the wired dock that other E series Latitude systems support and can also be connected to Dell’s Wireless Dock D5000 (WiGig). Thanks to all these connectivity options, Dell Latitude E7440 Touch has an array of options to connect with external devices. As it is a business class ultrabook, users can get it configured according to the needs of their companies. Dell Latitude E7440 Touch comes with standard three year warranty with limited on-site service. The base model of Dell Latitude E7440 comes equipped with Intel i5-4300u processor with integrated Intel HD 4400 graphics. Intel i5-4300u is based on Intel’s latest Haswell series processors which are built on a 22nm chip and are very battery efficient. The base model also comes with 4GB of DDR3L 1600MHz memory and 256GB of flash storage. From the 256GB SSD, users get 185GB free for business files and programs. 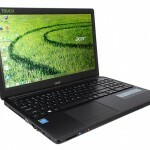 At the time of purchase users also have the option to go for Intel i7 processor and 8GB of memory. The specifications of E7440 Touch is almost identical to E7240 Touch, therefore both perform similarly in different benchmark tests. Dell Latitude E7440 Touch scored 1977 points during the PCMark 8 test. During 3D Mark 11 it scored 801 points while its main rival Lenovo T440s scored 930 points. In Geekbench test, E7440 Touch scored 5259 points while Lenovo T440s scored 5159 points. During the battery test, latitude E7440 Touch lasted 7 hours and 44 minutes, which puts it in between the power hungry HP ZBook 14 and the long lasting MacBook Pro. The battery of E7440 Touch is removable and users have the option to get extended battery. During benchmark tests. The 256GB SSD gave read and write speed of 486MB/s and 403MB/s respectively. In most tests E7440 Touch scored better than its rival Lenovo T440s but not all of them. Performance of Dell latitude E7440 Touch is similar to last year’s best business class ultrabook (Dell Latitude 6430u). The machine is best suited for day to day tasks performed in a corporate organization but multimedia and 3D performance is not up to the mark. If users need more multimedia and 3D performance, then the HP ZBook 14 and the MacBook Pro 15-inch (2013) are some expensive rival ultrabooks. Dell Latitude E7440 Touch is somewhat pricey at just under $2000, but it is a leading business class ultrabook and quality made tools are always expensive. With features like the long lasting battery, premium built quality, full HD touch screen and ultrabook specs, Dell latitude E7440 Touch excels past the famous Dell Latitude 6340u and other competition. It has more business features than most of the competition in its category and is the right choice for a business class ultrabook.